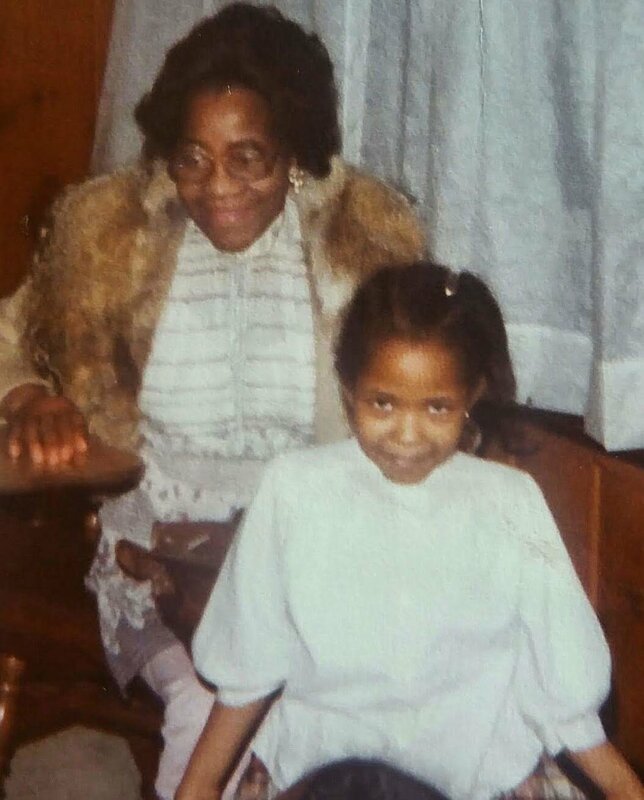 Clara (Clarissa) was Samirah’s grandmother, a wonderful chef and a gem of a human. She was a fancy lady with a touch of absurdity. She had a really quirky sense of humor, but there was a time and place for everything. For her, love was in the food. Food wasn’t just for the body, it was for the soul. She loved bringing people together over food, and having everything be beautiful. She was fancy, fun, and the ultimate hostess. Clara is the inspiration behind Clara’s Groovy Deliciousness, and she’s woven into everything we do—from flavor and composition, to a beautiful presentation. Hey y’all.. Samirah here. I am almost always laughing. I have an obsession with table etiquette (and good manners in general) and am moderately (actually not moderate at all) over the top with an affinity for sparkly things. She was making world famous lemon meringue pie (technically it wasn’t world famous, but it should have been!) – and watching her turn egg whites from a bowl of goo into a fluffy cloud of awesome was pure magic.. Meringue wasn’t just meringue. I watched the gooey egg whites turn into magic, and I wanted to see what she made next. I wanted to be a part of it. Whenever she was in the kitchen, I was beside her, watching everything that she did. I was mesmerized. A not so closeted nerd who went from engineer to baker and could not be happier. One of my fondest memories is of my grandmother singing this every time i came to the house, complete with a little dance. the minute she started singing i knew there was something yummy in the very near future. FORWARD TO HELPING YOU ARRANGE THE VISION OF YOUR DREAMS! Timing- Six to nine months before your wedding is ideal to start the process of working together. We've also worked with far more and less lead time, always feel free to inquire. Flavors - This is where the fun begins! Before your tasting, we'll send our "Gettin’ to know ya” questionnaire. We then build your tasting menu from the answers you provide. Tastings - We offer tastings by appointment only. You'll have an opportunity to sample the cake flavors we have prepared and decide on your favorites. Then we'll discuss more about what you're planning, look through pictures, and find inspiration for the cake design. Feel free to bring along images, style boards, and anything else that may inspire a beautiful centerpiece for your wedding. It’s not just a tasting, it’s an experience! 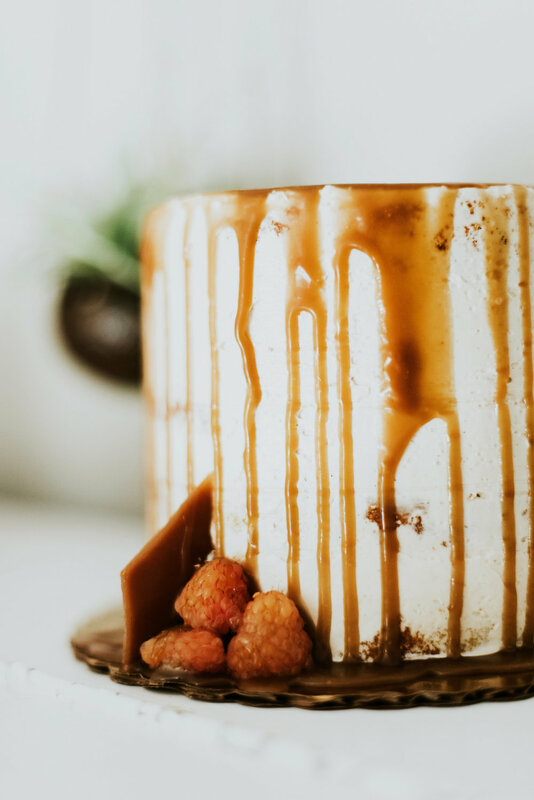 Pricing - Our cakes are priced based on the number of servings and how intricate the design will be; our pricing typically start at $8 per serving. Some minimum orders apply during our busier months. Pricing for dessert tables will vary on items and quantities ordered. Delivery - We deliver within the tri-state area. For venues outside the Philadelphia and immediate suburbs, the delivery fee is based on mileage from Philadelphia. Cake stand and dessert display rentals- We believe presentation is everything! 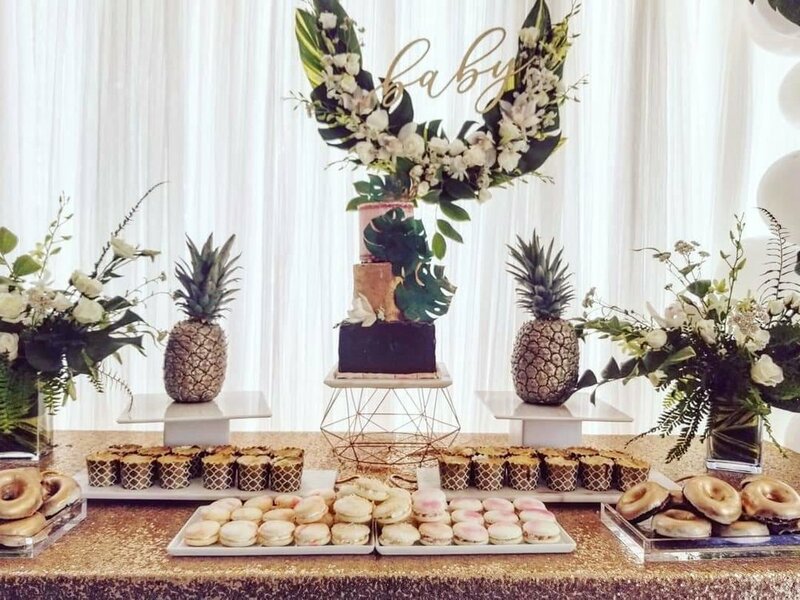 Let us help you design the perfect set up for your cake or dessert bar! who doesn’t love a good party?! we can’t wait to help you design the cake of your dreams for your next event! Timing - Please allow as much lead time as possible. Flavors - This is where the fun begins! Before your tasting, we'll send our "Party” questionnaire. We then build a menu from the answers you provide. 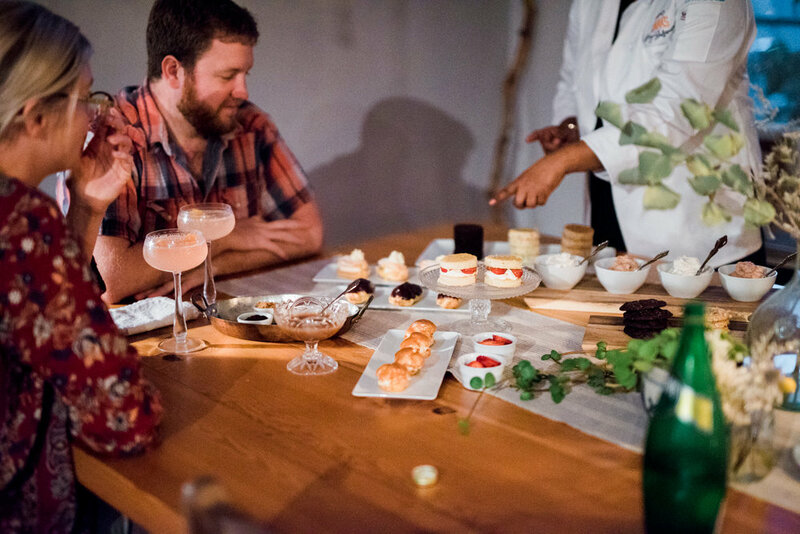 We can help you narrow down your choices, and will offer suggestions for delightful flavor pairings. Tastings - We offer cake tastings for events with 75 servings or larger. 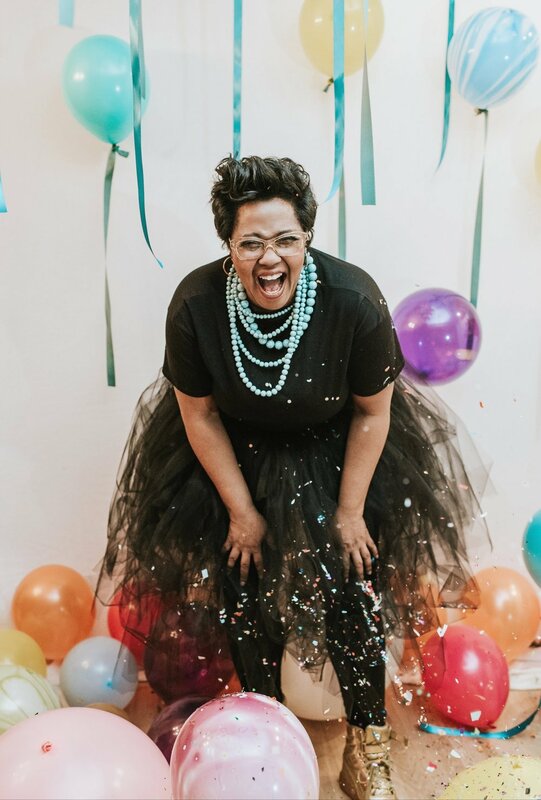 Design Process - First, we love to hear more about what you're planning: the type of event, whether you have a theme or color palette you're using, and any ideas or inspiration you have for the cake's design. We'll confirm the vision for your cake, and then work our magic to bring your vision to life. Pricing - Cakes are priced based on the number of servings and the intricacy of your design. Generally speaking, our pricing starts at $8 per serving. Pricing for dessert tables will vary on items and quantities ordered. Some minimum orders apply during our busier months. Depending on our availability and schedule, we also offer simple, elegant, single tiered cakes in a variety of sizes (please inquire for sizes and pricing). Delivery - We deliver within the tri-state area. There is an $80 delivery fee to most venues within Philadelphia and immediate suburbs. For venues outside the city, the delivery fee is based on mileage from Philadelphia. 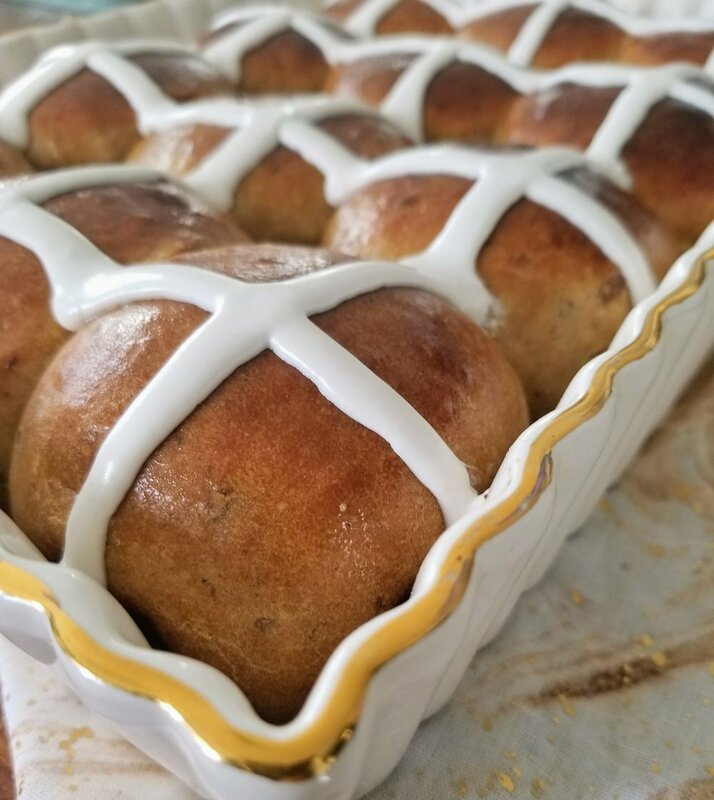 Always fresh and baked to order. There may be minimum order requirements depending on the item. Everyday is a special occasion when it comes to cake! We do not have a “cake menu”. What we have is our imagination and yours! From the (not so) ordinary to the extraordinary and everything in between. Boy do we LOVE doughnuts! Baked, fried, dipped in chocolate, covered in strawberry lavender sugar or topped with cashew praline. Tell us what you like and we’ll create you something delicious! A few of our cookie favorites include triple chocolate chip, oatmeal toffee butterscotch, dark chocolate salted caramel, ginger three ways, salted chocolate chunk espresso and more! 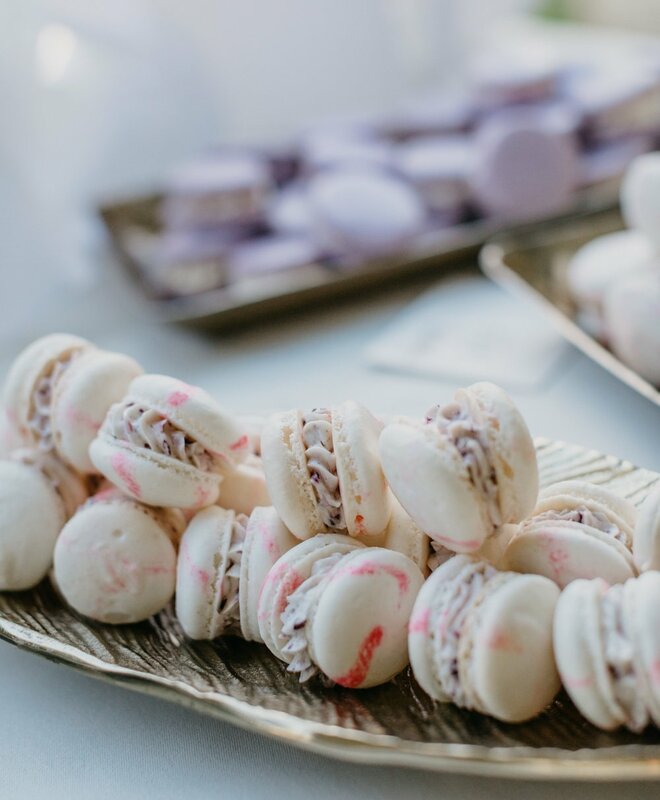 Some of our yummy macaron flavors include bourbon salted caramel, tiramisu, sweet cream, lavender honey pistachio, roasted pear, fresh strawberry along with a rotating seasonal flavor menu! chocolates, Brittle, S’mores and more! Candy isn’t just for kids! Do you have something in mind but just can’t find it anywhere? Let us create something yummy for you. Spiced cake covered in white chocolate topped with brown sugar macadamia nut praline.